Today we’re very excited to announce the availability of the GA Update for Power BI Desktop. This is, by far, our biggest release to date, with dozens of new features across all areas of the product. New Data Connectors: appFigures, Quickbooks Online, Zendesk, Github, Twilio and SweetIQ. Extract First/Last/Range of Characters from a Text Column. Option to specify Join Type in the Merge queries dialog. 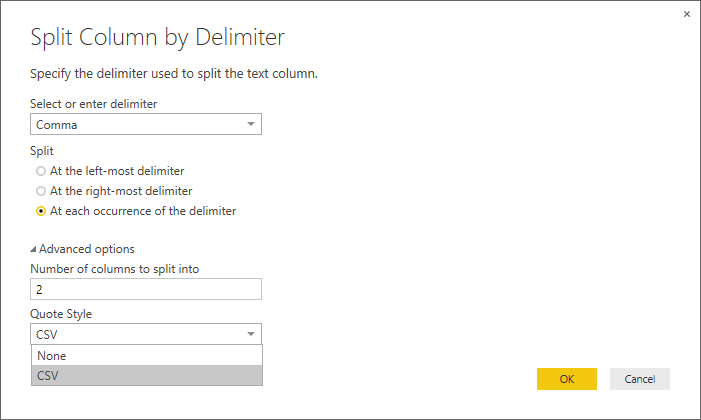 Ability to customize Quote Style in Split Column By Delimiter dialog. New visualizations: Area Chart, Waterfall, Donut, Matrix. 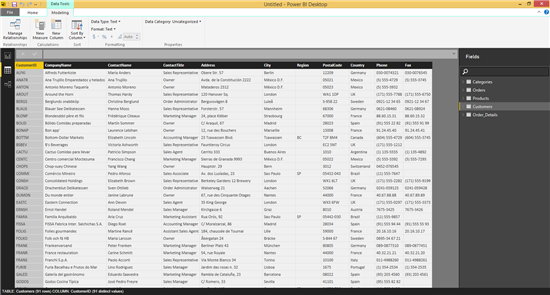 New visual formatting and customization options (labels, titles, background, legend, colors, etc.). Insert Textbox and Picture in your Report. Support for hyperlinks in reports and report tables. 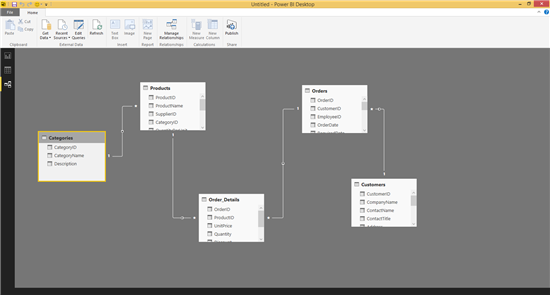 Direct Report Exploration over AS Tabular Models. Data Modeling: New Data view & Relationships view. 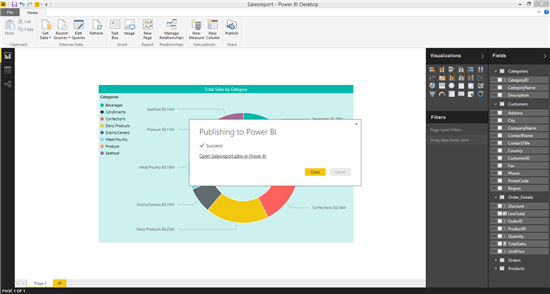 Ability to publish (and overwrite) reports to PowerBI.com, directly from Power BI Desktop. Support for opening Recent Files in Start Page and “File -> Open” menu. Support for Exchange UPN Credentials in the Exchange connector. In addition to all these new features, we’re also making Power BI Desktop available in 42 different languages. Get the full list of languages and install the one you want from our official download page. You can watch the following video for a full overview of this update, or continue reading below for more details about each one of the new features. We’re improving our Data Transformation capabilities with this release, by adding support for the following transformations. These are all frequent requests from many of you over the past months. Extract First/Last/Range of Characters from a Text Column: UI support for specifying how many characters to extract from a Text column, starting from the beginning/end or a specific position. This new set of transformations can be found under the Text -> Extract group in the Transform and Add Column tabs in the Query Editor ribbon. 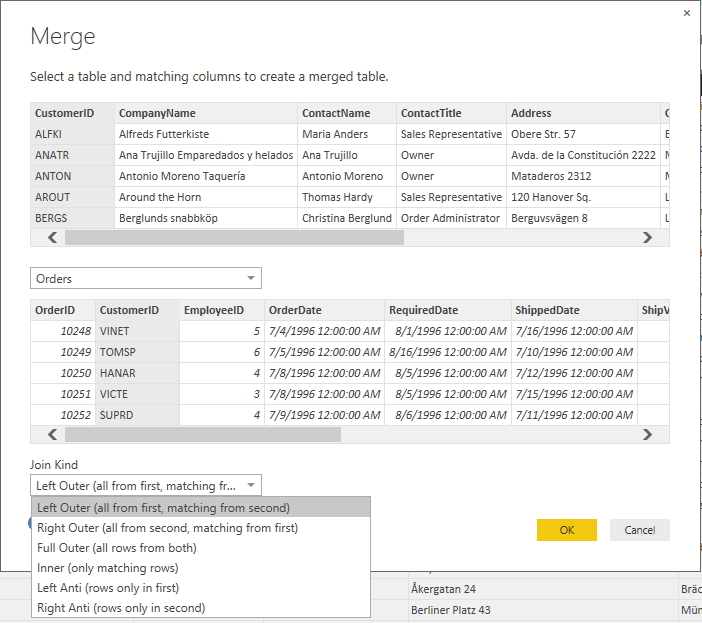 Option to specify Join Type in the Merge queries dialog: It is now possible to specify the type of Join that you would like to apply when merging two queries using the Merge Queries dialog. Ability to customize Quote Style in Split Column By Delimiter dialog: Users can now switch between CSV quote style or using no quote when splitting a column by delimiter. New visualizations: We’re adding the following 4 new visualizations this month. 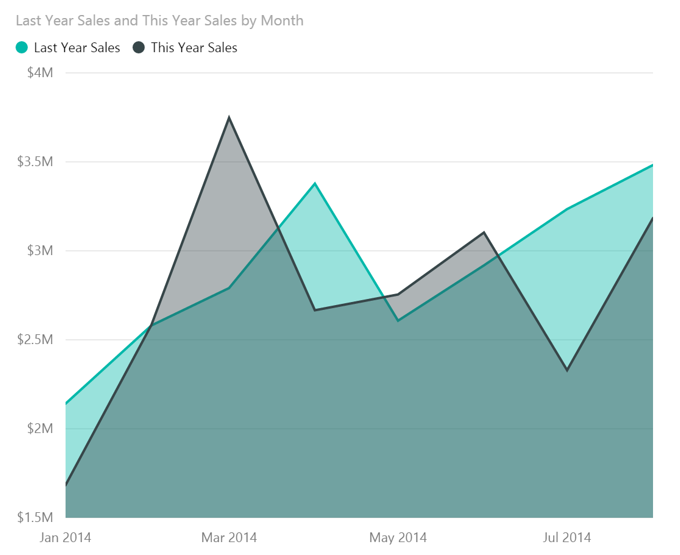 We’re going to add lots of new visualizations with each monthly update for Power BI Desktop. If you would also like to create your own visualizations for Power BI… you can! New visual formatting and customization options: We’re adding lots of new customization and formatting options for each of your visuals, including the ability to control chart titles, data labels, data colors, legends, backgrounds, etc. These options are available in the new Visualizations pane. Insert Textbox and Picture in your Report: Users can now insert text boxes with rich text in their report pages. They can also add pictures to their reports. These two options can be accessed from the Home tab in the ribbon. Undo/Redo actions: Users can fix their reports by using Undo/Redo within the Report view. These actions can be accessed from the Quick Access Toolbar on the top-left corner of the Power BI Desktop window, or by using keyboard shortcuts (Undo: CTRL+Z, Redo: CTRL+Y). One of the most frequent requests from our customers has been being able to explore Analysis Services Tabular models within the Report view and maintaining a live connection to this model. This enables them to explore the data available in the remote model and build their reports without having to import this data first. 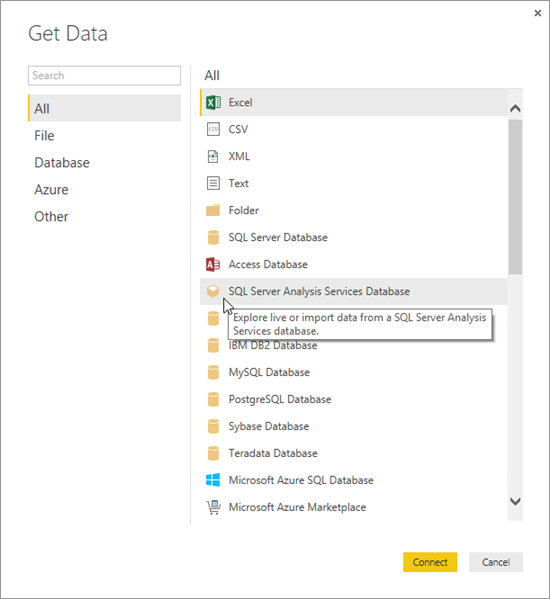 When using the Analysis Services connector from the Get Data dialog, users will be able to specify their server name and select which mode to use for connecting. After selecting the “Explore” mode, users will be able to select the model that they would like to connect to and land directly in the Report view without any data import stage in between. At that point, model elements can be explored by using the Fields pane. When dragging fields to the Report canvas to create new visuals, a live connection will be established with the remote Tabular model in order to calculate the result and display the visualization. With this release, we’re introducing two new views in Power BI Desktop that will help you interact better with the data in your Power BI Desktop files: Data view and Relationships view. 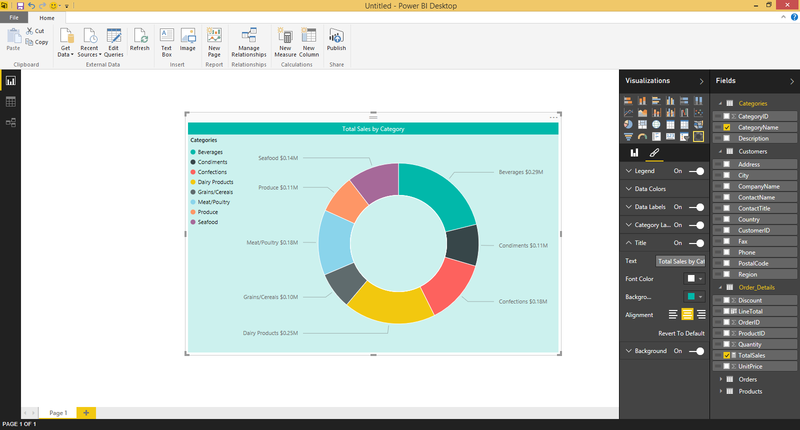 These two views can be accessed from the view switcher in the left side of the main Power BI Desktop window. 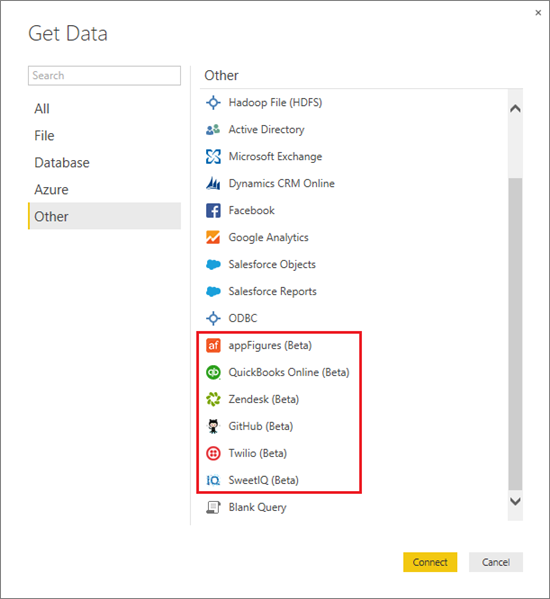 Data view: The Data view helps users inspect, explore, and understand data in their Power BI Desktop model. It’s different from how users view tables, columns, and data in the Query Editor where they interact with a sample of data to define data transformations (query steps) before the data is loaded into the model. With the Data View, users can look at their data after it has been loaded into the model. When modeling data, sometimes users want to see what’s actually in a table or column without creating a visual on the report canvas, often right down to the row level. This is especially true when creating measures and calculated columns, or when users need to identify a data type or data category. The Data view enables users to perform all these actions. 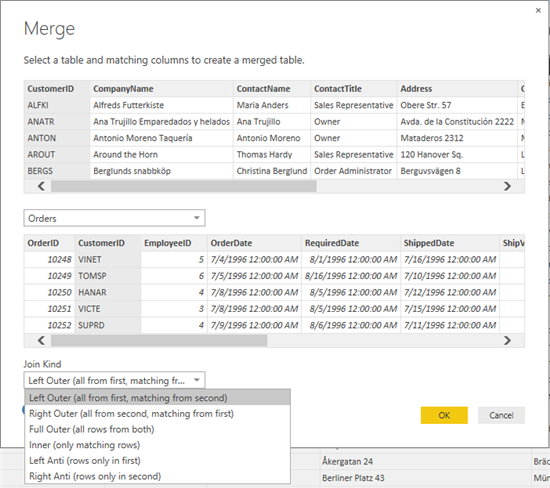 Relationships view: This view shows all of the tables, columns, and relationships in your model. This can be especially helpful when your model has complex relationships between many tables. From this view, you can reconfigure existing relationships or create new ones by using the “Manage Relationships” button in the ribbon. It is now possible to publish reports to PowerBI.com directly from within the Power BI Desktop app. Users can find the Publish button in the Home tab in the ribbon, within the main Power BI Desktop window. After clicking Publish, users need to sign in with a valid Power BI account. Reports will be published and available in just a few seconds. Users can re-publish the same report after making changes in Power BI Desktop. This will replace the previous version of the report in PowerBI.com. 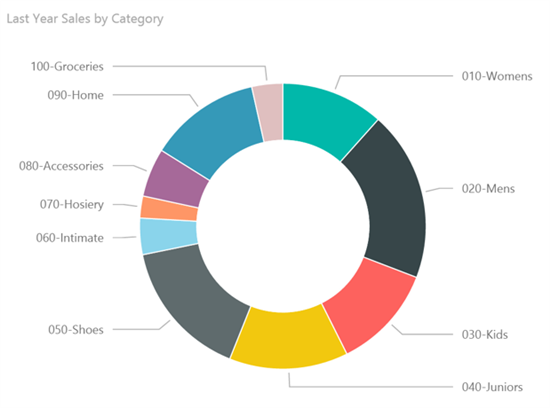 After publishing a report, users can go to PowerBI.com, pin specific report elements to their dashboards and keep them up-to-date with the Refresh and Scheduled Refresh capabilities in PowerBI.com. That’s all for the Power BI Desktop GA release. While this is a very important milestone for our product, you should keep in mind that it is only the beginning. 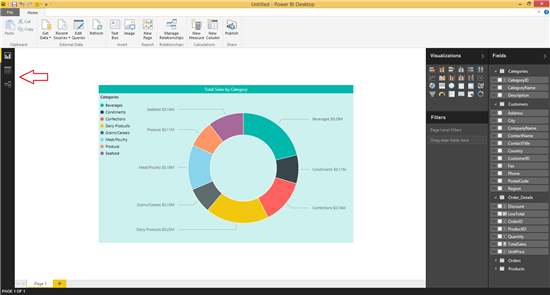 We will continue making lots of improvements to Power BI Desktop with every new update, every month. Please keep sending us feedback and telling us what you would like to see next in the product.